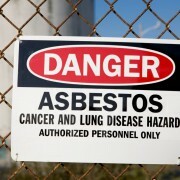 Should I Be Concerned About Asbestos? In order to prevent cross-contamination and potential health issues, mold remediation must be done properly and in most cases by a professional. Professional mold remediation companies and/or technicians will be trained and certified by organizations such as the Institute of Inspection Cleaning and Restoration (IICRC) or one similar. Contrary to popular belief, there’s more to removing mold than spraying bleach on it. Proper mold removal starts with a proper and thorough inspection. This inspection should identify the source of the problem. All mold problems stem from a moisture issue. Sometimes environmental testing/sampling is needed to determine the source and extent of the contamination. Testing can also identify spore type(s) and quantity. This particular information can be helpful if experiencing adverse health problems relative to mold exposure by giving the test results to your doctor. When a person’s health is at risk, there’s no margin for error. 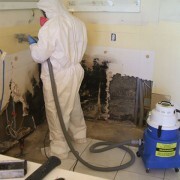 Make sure to hire a professional remediation company when restoring a mold damaged property.